honky-tonk – will feature line dancing with Dee Jay Silver, BBQ and beer, and a number of other attractions. David Lee Murphy, Ryan Hurd, Brandon Lay, and more, plus DJ sets by Dee Jay Silver. weekend general admission tickets start at $84.99 (plus fees) and weekend VIP tickets start at $229.99 (plus fees). For passwords and more information on how to purchase presale tickets, visit www.wcol.com. 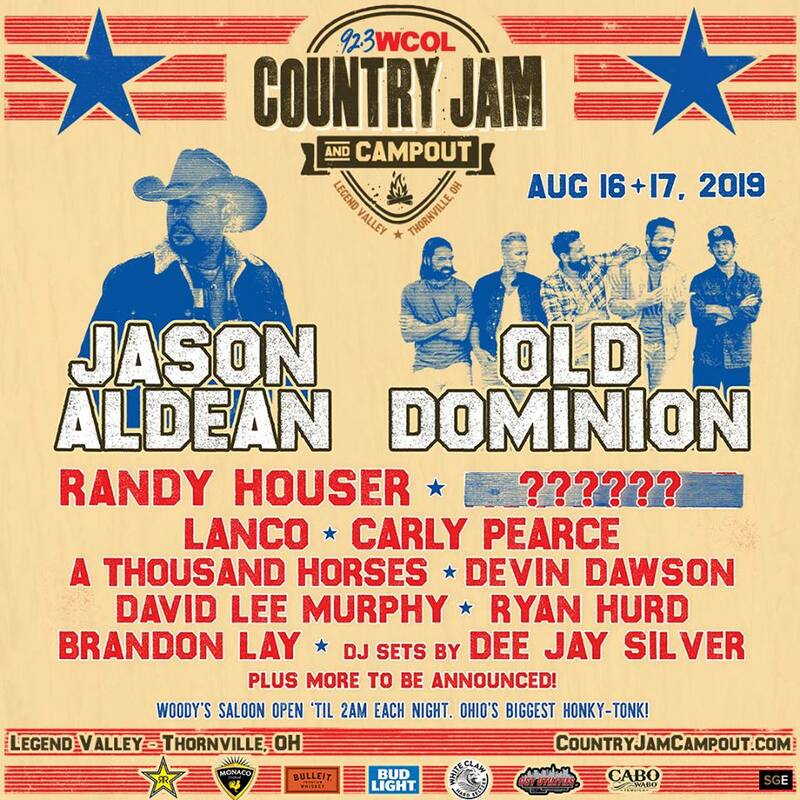 92.3 WCOL Program Director Dan E. Zuko says, “Jason Aldean at Legend Valley is a match made in heaven! 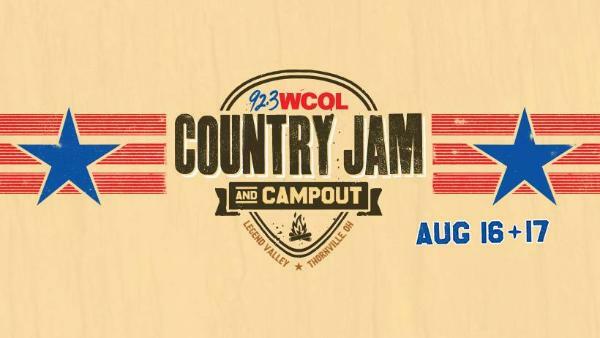 more of today’s top country artists to Legend Valley for an incredible weekend of country music, camping, and BBQ. Reserved and General Admission tickets will also be available for purchase. Layaway plans are available as well. 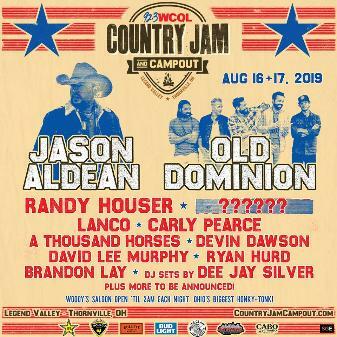 Visit www.countryjamcampout.com for details on all ticket and camping packages. seating for the show. Single Day tickets start at $149.99 (plus fees) and Weekend tickets start at $299.99 (plus fees). of the main stage. Single Day tickets start at $249.99 (plus fees) and Weekend tickets start at $499.99 (plus fees). Entertainment (SGE), which is responsible for some of the largest independent festivals across the country. Bulleit Frontier Whiskey, White Claw and more. 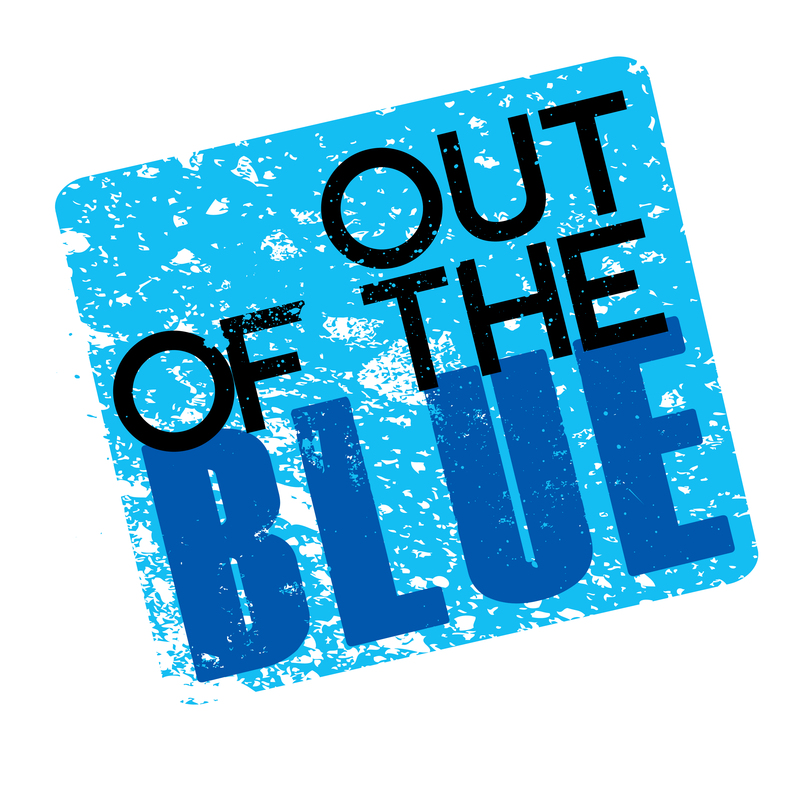 is also easily accessible for those traveling from other parts of the U.S. and the world.